This course provides methods to overcome the largest profit leak in the automotive repair industry: the sale of Technician labor. 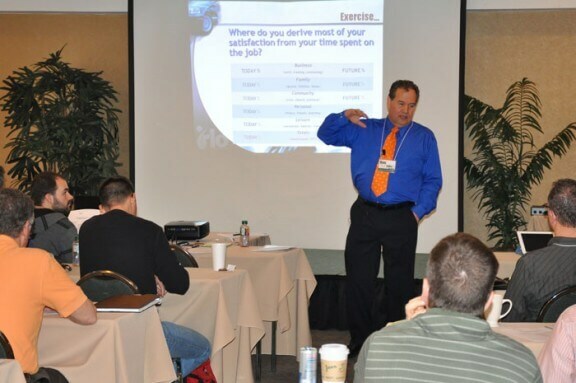 This workshop covers methods to improve Technician and shop productivity and efficiency; evaluate the Technician’s use of time; improve the estimating process; identify and correct production problems; substantially increase labor gross profits and legitimately sell each Technician’s diagnostic time profitably. Once employers and management staff (including Service Advisors) have attended Managing Team Labor, all of the remaining employees should be exposed to the same principles. Everyone in the business learns what their role is in this process and how they each benefit with supporting its implementation. Owners and Managers should seriously consider having technical and administrative staff attend this workshop shortly after the full Technician Time Management course has been completed by Owners and management.